History will likely record the Oct. 17, 2018 demonstration as the real beginning of this PetroCaribe uprising. Clearly, the PetroCaribe affair is gaining momentum. With every passing day, Haitian society becomes more engrossed with this scandal which exposes the outrageous conduct of our leaders vis-à-vis public funds. Haitian government corruption has long been a cancer slowly but surely weakening the state, for which we have found no cure. But it seems that the PetroCaribe issue might finally help bring us a better tomorrow. Indeed, as popular protests grow over the theft of PetroCaribe funds, no one can say how far things will go. PetroCaribe is like big book in which each page turned plunges us deeper into the plot, that is to say, every new development heightens our surprise and suspense. The PetroCaribe dossier dates back to the presidency of the late René Préval and epitomizes the extent of public corruption in Haiti over the past 40 years. The crux of the new unity is demanding accountability for public funds. For a long time, civic leaders, grassroots movements, and, in general, political opposition groups were looking for a burning issue to galvanize, focus public attention on, and create unity around combating this scourge which is ruining the nation, but political instability made it impossible to find this common ground. None of the three actors mentioned above had enough credibility or financial resources to create so heterogeneous and so popular a movement as we have seen in recent months. It required this particular moment, which has swept up every Haitian citizen in the mobilization. The crux of the new unity is demanding accountability for public funds. 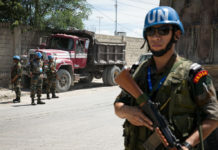 Everyone is asking: when will Haiti demand accountability? 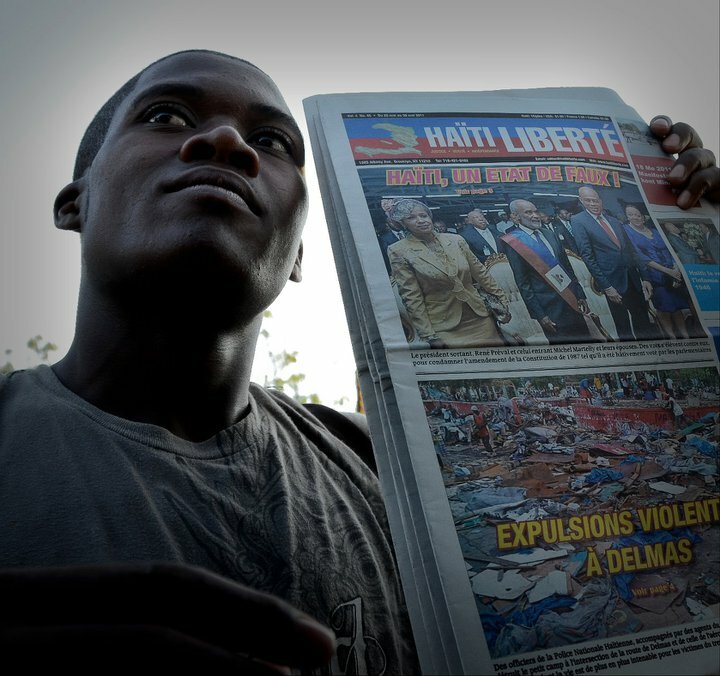 Today, Haiti’s credibility is on the line. Our neighbors don’t understand how such a brave and intrepid people can accept without a word that what is rightfully theirs is lost to the profit of a few individuals, those now being called Petro-thieves. The theft and squandering of PetroCaribe funds once again undermines our leaders’ honor and reputation, because they did nothing concrete for the country with these funds. Our Caribbean and Latin American neighbors have also received from our Venezuelan friends loans to modernize their respective countries by improving the social and economic conditions of their compatriots. The loans were intended for national development of all the countries that benefited from a PetroCaribe agreement. The interest rate was exceptionally low, practically nil. In the Dominican Republic, the past and present rulers of this country have made use of this money even beyond what was asked of them. They built major highways, modernized the public transport sector, invested in the education and health sectors, and generally modernized the country, as can be seen by visitors arriving at any of the country’s major international airports. But across the Haitian border, PetroCaribe funds were used for something else, and it shows. Thus, today’s protestors are uniting, pooling their strength, concentrating their energy and their financial means to allow their claims to be heard by the state authorities. After some scattered demonstrations, they realized small actions would win nothing from the government. So, they agreed on a date, that of Oct. 17, 2018, to launch their “long march” to what we can already call the PetroCaribe trial. If using Haiti’s historic dates, like the Oct. 17 anniversary of the assassination of Emperor Jean-Jacques Dessalines, Haiti’s founding father, can serve to force state authorities to shed light on the use of PetroCaribe funds, why not? This only further proves that, even in death, Dessalines’ ideals remained intact. 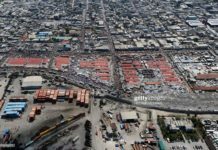 In any case, the government certainly did not expect such a huge mobilization on Oct. 17, 2018 of millions of people nationwide. It was shaken on its foundations and out of its complacency. Completely panicked, President Jovenel Moïse, who is now trying to save his presidency (if not his skin), has no doubt realized that the PetroCaribe issue is rooted in his government’s arrogance and contempt at facilitating the difficult work of justice. Suddenly, he abruptly separated without notice from 16 advisors and his two highest aides – chief of staff Wilson Laleau and Secretary General of the Presidency Yves Germain Joseph – both accused of embezzling PetroCaribe funds, by a simple decree dated Oct. 19, 2018. 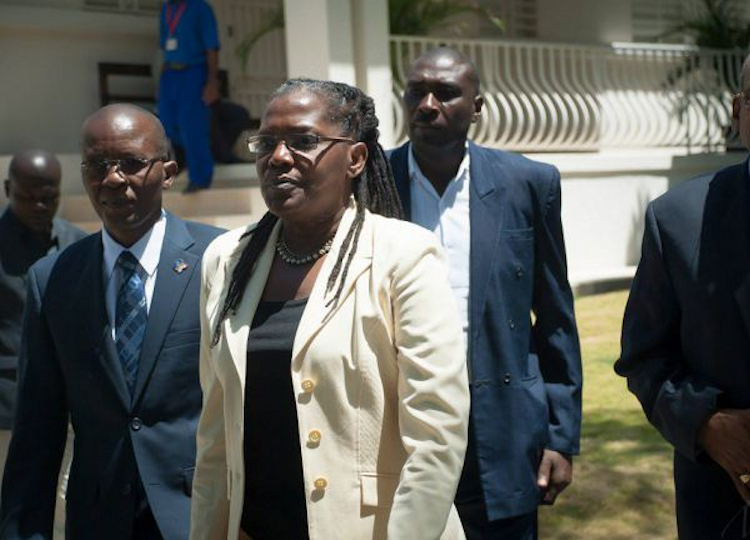 Former Provisional Electoral Council (CEP) member Yolette Mengual was removed as General Director of the Ministry of Haitians Living Abroad (MHAVE). She was accused of corruption in the 2016 elections, and nobody could understand how Pres. Moïse could appoint her to run a ministry when she was already indicted for corruption. By firing these high public officials, the President is trying to extinguish the flames which are racing towards his house, which is not safe. It was also the first positive results for the organizers of the Oct. 17 protest, who want even more significant gestures from Moïse. Because, the goal is nothing less than the arrest of all those named in the two reports on the use of PetroCaribe funds, issued by two Senate Commissions led respectively by Senators Youri Latortue and Evallière Beauplan. 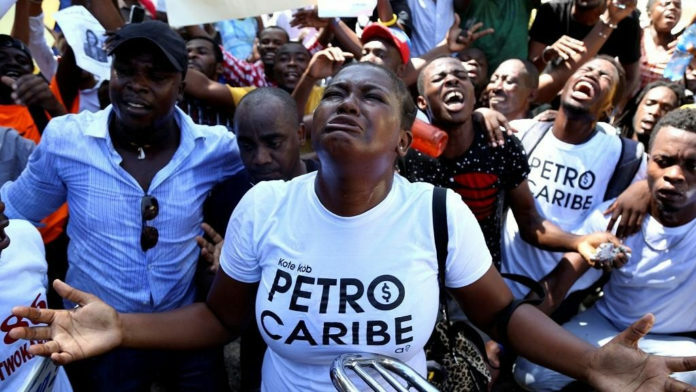 The dismissal of Wilson Laleau and Yves Germain Joseph, the two highest officials implicated in the PetroCaribe affair and threatened with prosecution, is seen as opening an avenue for the trial so demanded by an outraged population. These implicated officials could only escape justice by finding refuge in the National Palace. In addition to these two officials, who were dismissed by the President and practically put in the hands of Haiti’s Attorney General (Procureur de la République), during the same week, two other former senior state officials were summoned by the Port-au-Prince prosecutor to answer questions about PetroCaribe funds: former Prime Minister Laurent Lamothe and the contractor Patrice Milfort, General Manager of General Construction SA. They were invited to come say what they know about the use of PetroCaribe funds. Former Prime Minister Laurent Lamothe remains one of the main accused in this scandal. 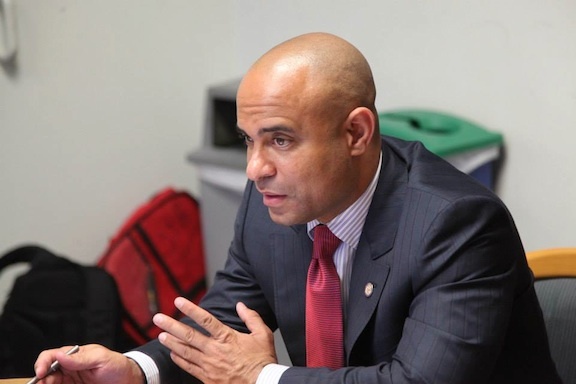 In the opposition’s crosshairs since the discovery of this large-scale corruption, Laurent Lamothe remains one of the main accused in this scandal. He was for a time both Prime Minister and the Minister of Planning and External Cooperation under President Michel Martelly. He has already been heard several times by a judge, but there has never been any follow up. This time, he did not respond to the invitation of the state prosecutor Clamé Ocnam Daméus on Oct. 23, 2018. Patrice Milfort of General Construction SA also did not go to the prosecutor’s office to explain why his company did not execute the contracts that it had earned. Meanwhile, new Prime Minister Jean Henry Céant has tried several initiatives to try to calm down tensions. In addition to a weekly press conference to give the media and the general public information on the progress of the case before the judiciary, an independent commission is supposed be formed, including various pressure groups. But the prime minister had a hard time convincing those concerned to join this Commission. Moreover, even before the invitations were officially launched, almost all the members of the organized civil society and respected figures already indicated that the Commission does not interest them. According to them, they don’t want to be pressured, their place is not in any Commission, even if it is independent. Their role is to put pressure on public authorities to move institutions to action, not to integrate into them, which would be counterproductive. At the same time, the Prime Minister’s office has published a document in which is compiled a collection of texts related to the PetroCaribe funds from 2006 to 2018. Prime Minister Jean Henry Céant who presented this kind of “white paper” on the use and management of the PetroCaribe fund wants by this gesture to make transparent the ongoing process and prove that his government does not intend to hide the truth from the population on the squandering of these funds. The Prime Minister also increased the security of the investigating judge in charge of the PetroCaribe inquiry at the Port-au-Prince prosecutor’s office. An armored car was even given to this judge. Céant has taken the same steps with members of the Superior Council of the Judiciary Authority (CSPJ) in an effort to show the co-operation of the executive power to assist the judiciary in taking action against those who emptied the state fund. The Prime Minister also wrote to the Superior Court of Auditors promising them all the help and assistance they need for their work on this case. Before these events, the very day of the big Oct. 17 demonstration, the President began Tweeting a lot. 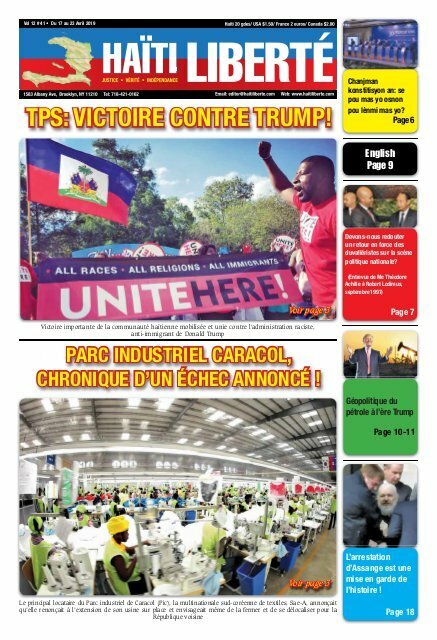 Some want him to shed light on all the PetroCaribe corruption, but the most radical want his resignation, especially the political leaders who do not see in this PetroCaribe mobilization a mere campaign against corruption in the state apparatus but rather a step towards President Jovenel Moïse’s departure from the National Palace. 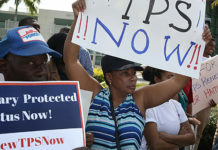 However, with all the signals issued by the authorities after the big Oct. 17 demonstration, it seems that the authorities are opening an avenue to the Port-au-Prince courthouse and that nothing or nobody will be able to stop the machine ready to crack down on anyone who has participated in any way in this great scandal of the century. According to one accused who is worried about his fate since the Oct. 17 demonstration: there is no doubt, we are moving towards what we called at the beginning of last century the process of the “Consolidation” under the presidency of Nord Alexis between 1903 and 1904. Translated from the original French by Kim Ives.